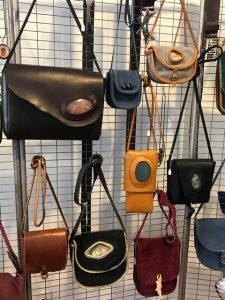 Looking for a unique gift or a one-of-a-kind treasure? The Mt. 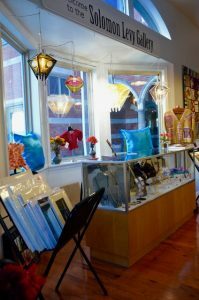 Airy Art Garage (MAAG) is proud to offer original, handcrafted merchandise created by over 30 local artists. Drop in and browse our shelves and bins filled with a variety of art and fine crafts. 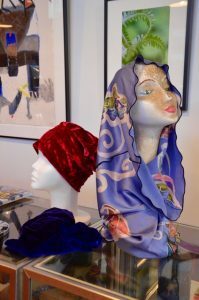 The selection includes photography, art cards, books, jewelry, ceramics, glass, wearable and fiber art, woodwork, and more. Also available is MAAG paraphernalia – t-shirts, buttons, cards, etc. When you visit, be sure to look up and check out MAAG’s revolving exhibition walls of original paintings and prints, which serve as a temporary venue for the Solomon Levy Gallery. Till we move into our new home on Germantown Avenue, not far from our current address, these walls will perpetuate MAAG’s mission of offering artists communal space for creative expression. 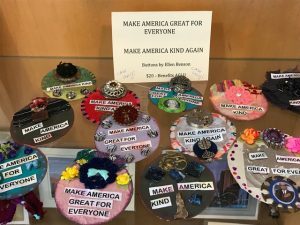 Proceeds from the Fine Art & Contemporary Craft Gallery help support MAAG programs and activities; so please drop in and browse. After all, supporting local artists in your community surely beats going to the mall! MAAG Gift Certificates: Gift Certificates for $10, $25, $50 and $100 may be purchased in the Fine Art & Contemporary Craft Gallery. They may be used to purchase items in the Gallery, MAAG membership, and event entry fees. Hours: Wednesday – Saturday, Noon to 6 pm. Sundays by appointment. Artists and Artisans: Mt. Airy Art Garage invites MAAG member artists and artisans to submit applications for consigning unique handmade articles for sale at a variety of price points. Space is limited, so inventory is always changing to keep the shop’s displays fresh. 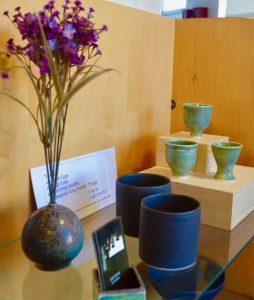 If you are interested in having your work considered for MAAG’s Fine Art & Contemporary Craft Gallery, send a message to info@mtairyartgarage.org. Mt. Airy Art Garage will not share your personal information with any third party. We’ll get back to you as soon as we can!